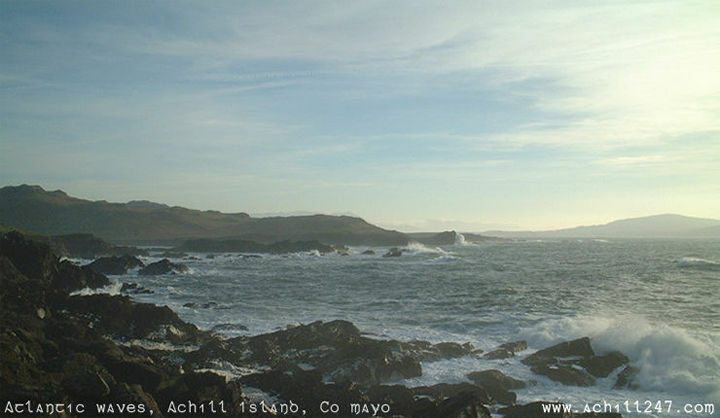 This image in our series of Ireland pictures shows Atlantic breakers on the south-facing coast of Achill Island. To the right in this picture, in the distance, is Clare Island while off to the left, out of picture, are the peaks of Knockmore (An Cnoc Mór). This picture was taken on Achill's 'Atlantic Drive', between Cloughmore and Dooega.